Aleyda is totally dedicated to preparing everything fresh daily from scratch. It’s a tradition to use the finest and freshest ingredients. Our beef is selected from only the highest quality cuts, such as lean ground beef and flank steak; our chicken is boneless and skinless and our shrimp is the freshest anywhere! 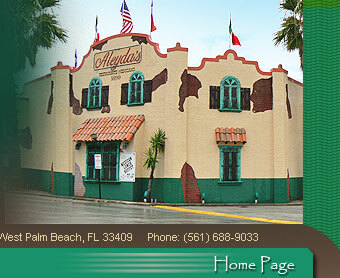 Our foods are cooked fresh daily in low cholesterol, low fat oils. 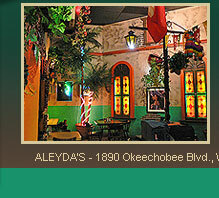 The menu offers, in addition to popular Mexican specialties, personal dishes inspired by Aleyda’s own South American heritage.